For the past 38 years, the Richard Tucker Award has been granted to an American singer poised on the edge of a major national and international career, with a list of winners that reads like a who’s who of American opera stars. 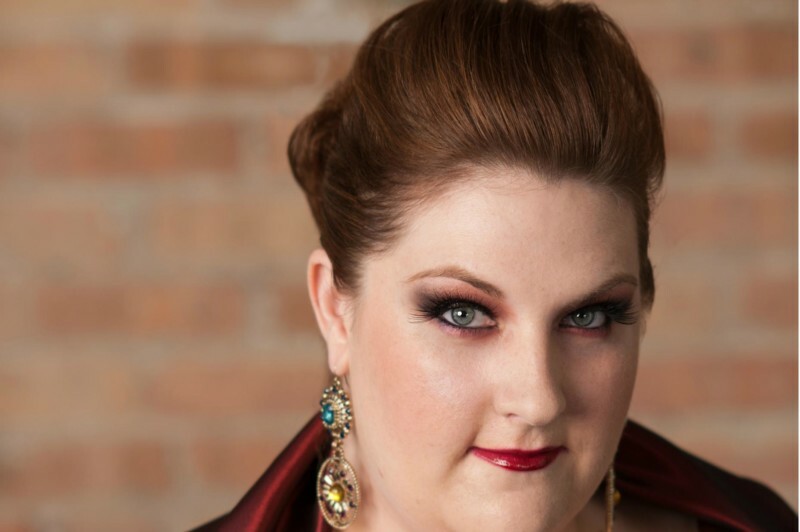 This year’s winner, soprano Tamara Wilson, was hailed by The New York Times upon her Metropolitan Opera debut as “a young American who sings Verdi with a passion that surpasses stereotype.” Her wide repertoire encompasses Verdi, Mozart, Strauss and Wagner roles and Ms. Wilson will make debuts this season at Munich’s Bayerische Staatsoper and the Deutsche Oper Berlin and return to Barcelona’s Liceu, all in leading Verdi roles, as well as singing Britten, Wagner, Mahler and Strauss in concerts with leading orchestras. At this celebration at The Greene Space at WQXR, Miss Wilson will be joined by recent Tucker Foundation grant recipients soprano Erin Morley, mezzo-soprano Samantha Hankey and tenor Andrew Stenson. They will perform works of Mozart, featuring arias and duets from some of his most beloved operas, including Don Giovanni, Le Nozze di Figaro, and The Magic Flute. Pianist Brian Zeger, artistic director of Juilliard’s Marcus Institute, accompanies. WQXR’s Nimet Habachy hosts. Ms. Morley has brought what the New York Times called the “silken clarity of her voice and the needlepoint precision” of her coloratura to the Metropolitan Opera, the Vienna Staatsoper, and Munich’s Bayerische Staatsoper, among many others. Her 2016-2017 season features a return to the Metropolitan Opera to sing Sophie in a new production of Der Rosenkavalier and performances of Zerbinetta in Ariadne auf Naxos with the Glyndebourne Festival Opera. In concert, she will sing Sophie with the Boston Symphony Orchestra and reprise Angelica in Handel’s Orlando with Harry Bicket’s renowned orchestra, The English Concert, on tour in Ferrara, Italy. Mezzo-soprano Samantha Hankey is quickly making a name for herself at home and abroad while pursuing her Masters of Music degree at The Juilliard School under the tutelage of Professor Edith Wiens. In the 2016-2017 season at Juilliard she will sing the title role in Handel’s Agrippina in collaboration with Juilliard415 and Varvara in Stephen Wadsworth’s production of Katya Kabanova . Recent awards and honors include a 2016 Sara Tucker Study Grant from the Richard Tucker Foundation, and prizes from the Licia Albanese-Puccini Foundation, the Gerda Lissner Foundation, Opera Index, Hal Leonard. Andrew Stenson is the first prize winner in both the 2015 Giulio Gari International Vocal Competition and 2016 Gerda Lissner Foundation Competition. He is also the recipient of a 2011 Sara Tucker Study Grant from the Richard Tucker Foundation and is a graduate of the Metropolitan Opera’s Lindemann Young Artist Development Program. Mr. Stenson’s 2016-2017 season includes appearances with the Glyndebourne Festival as Ernesto in Don Pasquale, as Tamino in Die Zauberflöte with Seattle Opera, Frederic in Pirates of Penzance with Palm Beach Opera, the title role of Candide with Théâtre du Capitole, Toulouse and Opéra National de Bordeaux, and Count Almaviva in Il barbiere di Siviglia with the Santa Cruz Symphony. Widely recognized as one of today’s leading collaborative pianists, Brian Zeger has performed with many of the world’s greatest singers including Marilyn Horne, Deborah Voigt, Anna Netrebko, Susan Graham, René Pape, Dame Kiri Te Kanawa, Frederica von Stade, Piotr Beczala, Bryn Terfel, Joyce DiDonato, Denyce Graves and Adrianne Pieczonka. He also serves as Artistic Director of the Vocal Arts Department at The Juilliard School, and previously served for many seasons as the Executive Director of the Metropolitan Opera Lindemann Young Artists Development Program, Director of the vocal program at the Steans Institute at the Ravinia Festival as well as on the faculties of the Music Academy of the West in Santa Barbara, the Chautauqua Institute, the Mannes College of Music and the Peabody Conservatory.